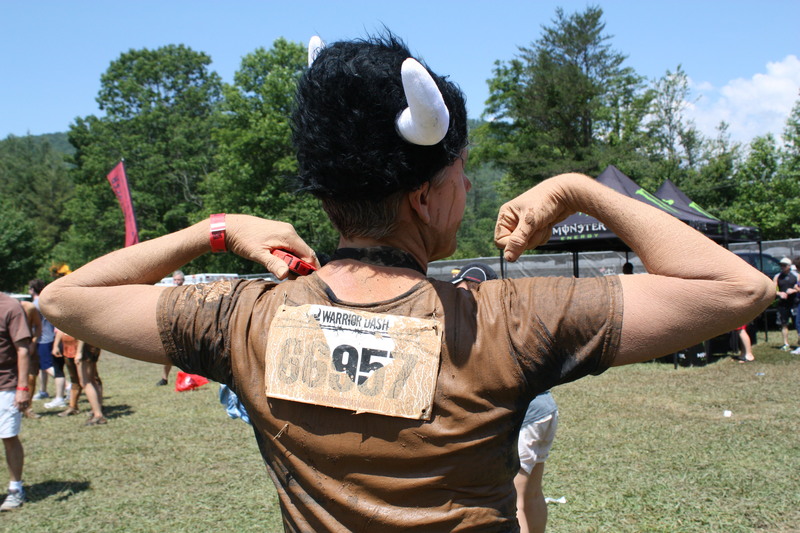 Warrior Dash Training – may i ask you a question? Storm, it did. Joy and I spent the night in a tent with rain pummeling, lightning flashing and limbs blowing to and fro just on the other side of our tent mesh. Our energies were spent on trying to stay warm, dry and as oblivious as possible to the impending danger of a limb falling on our heads. 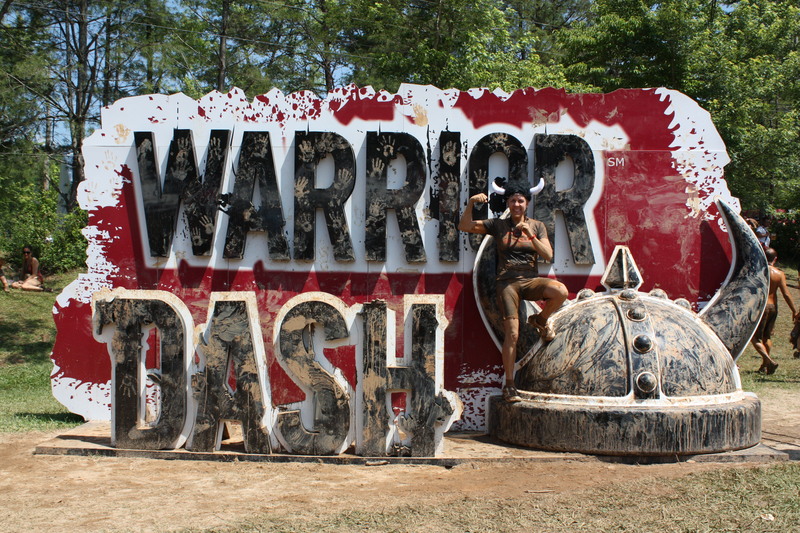 We camped back in July in Mountain City, Georgia before I participated in The Warrior Dash. Joy came along as a cheerleader, SAG wagon and cameraman. She’s such a great companion. 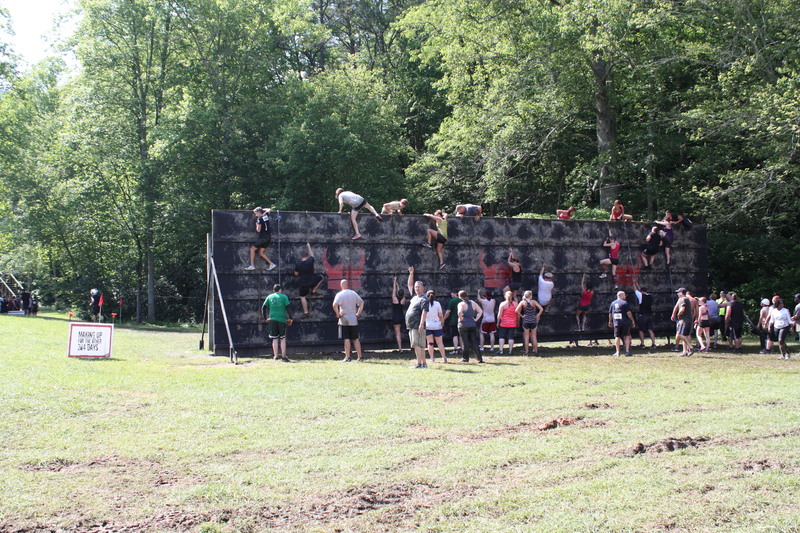 The Warrior Dash is a 3 mile race with an obstacle course built-in. 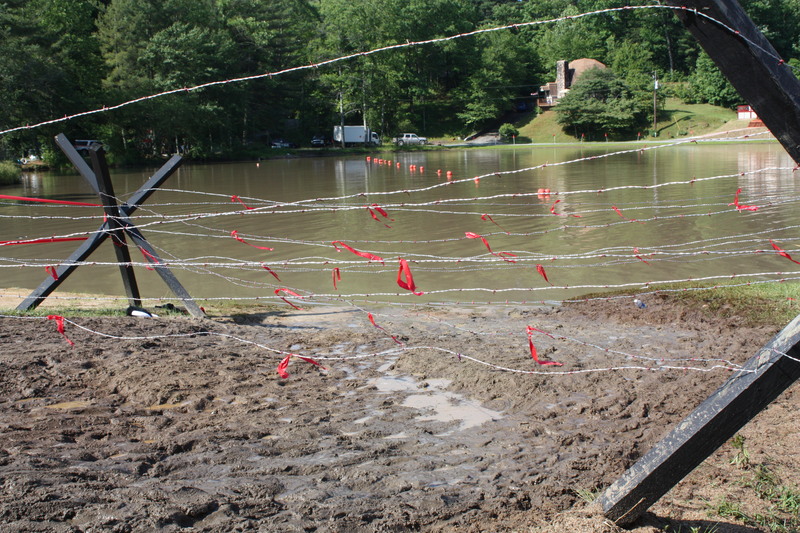 The obstacles include a muddy crawl under barbed wire, crossing a lake, climbing a wooden wall, several different rope ladder climbs, a slide down a fireman’s pole (where some people on Saturday snapped their ankles – *ouch*), floating dock water challenges and a fire jump finale’. The weekend days that weekend were gorgeous … but I have to admit that the nights were quite chilly for July. that would wind through woods, across gulleys and over stumps, roots and rocks. 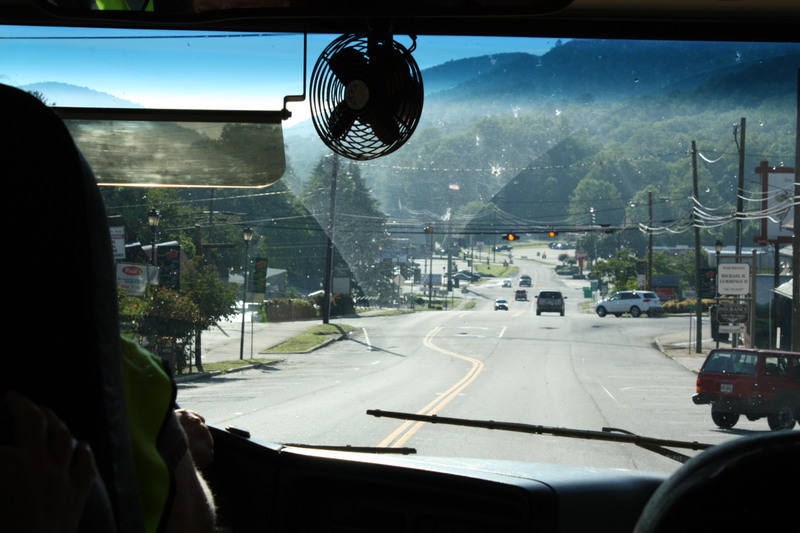 The bus ride from the parking lot to event venue drew my attention to the fact that the course might be just a bit more hilly than my Augusta training ground. I trained for this event for at least five months by running longer than has been my custom and with gym work that focused on core and upper body muscles. Like most women, my upper body is naturally fairly weak. 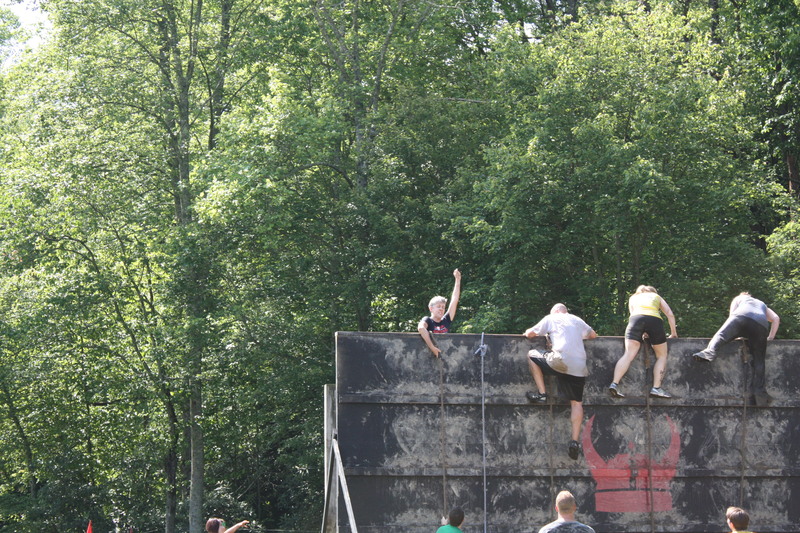 My greatest fear about this race was knowing that I had to scale a 15′ tall wall using a rope to pull myself up and over. 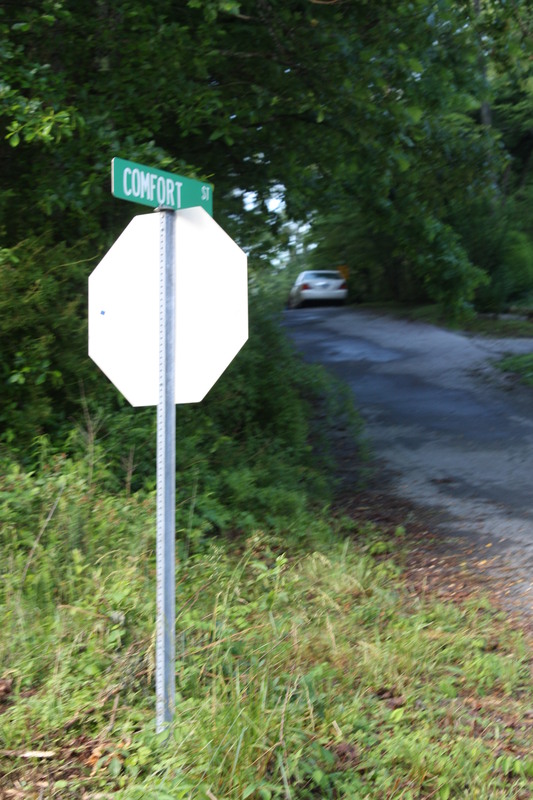 As it turned out, there were step ledges that helped me climb up. The surprise came when I succeeded in the climb only to find the wall was swaying from the movement of all the other racers climbing, balancing and flipping to the other side. I wasn’t expecting to experience fear once I mounted the wall’s top. 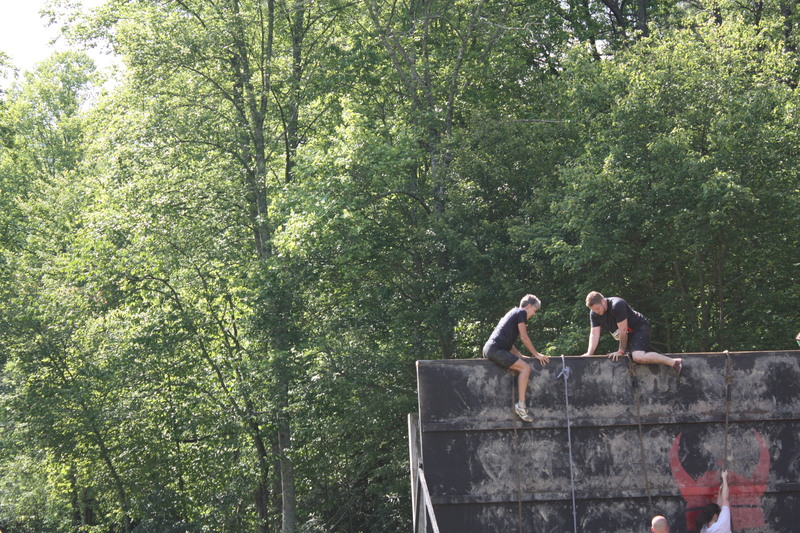 Tipping over and feeling a new security to be upright on the other side of the wall was quite exhilarating !! There were so many people who used the fire jump for showmanship. 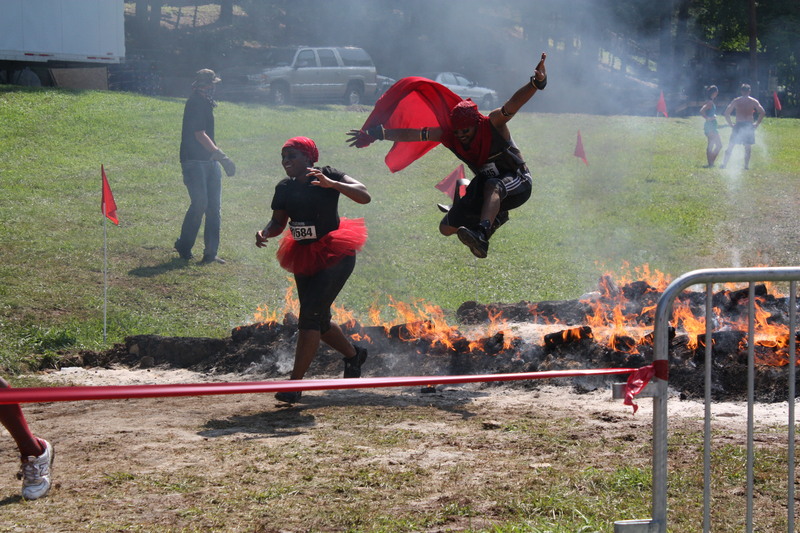 With capes flying, mid-air heel clicks and extra-high victory jumps, many worked it for the camera man. Me? I figured this WOULDN’T be a good time to trip and fall … right here at the end of the event … so I continued my caution and focus. 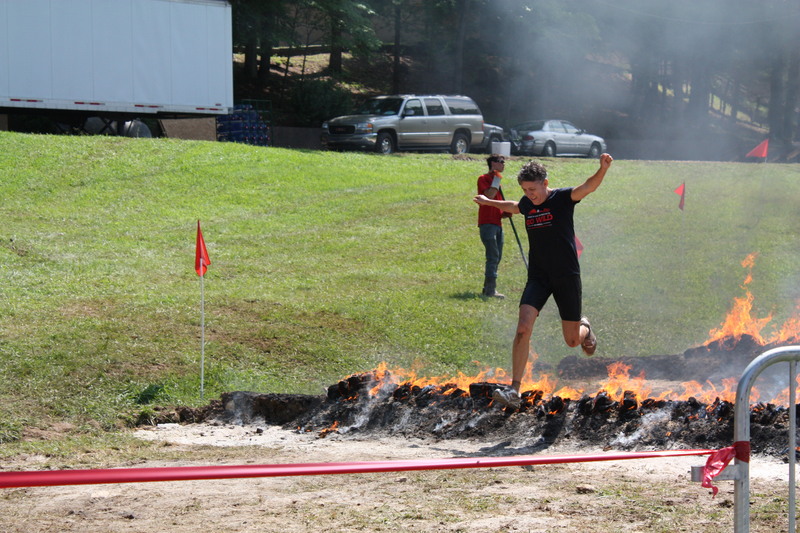 “Don’t trip and fall into the fire,” was my mantra. 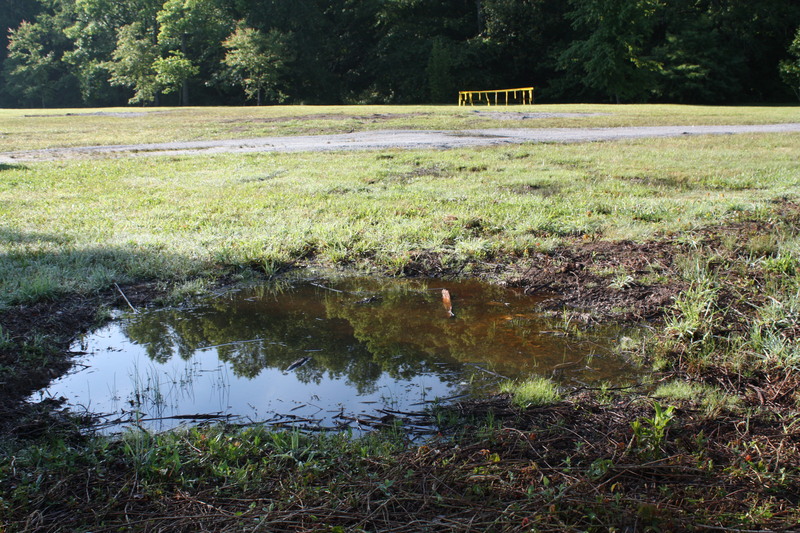 My worries of a slip and fall in mud …. 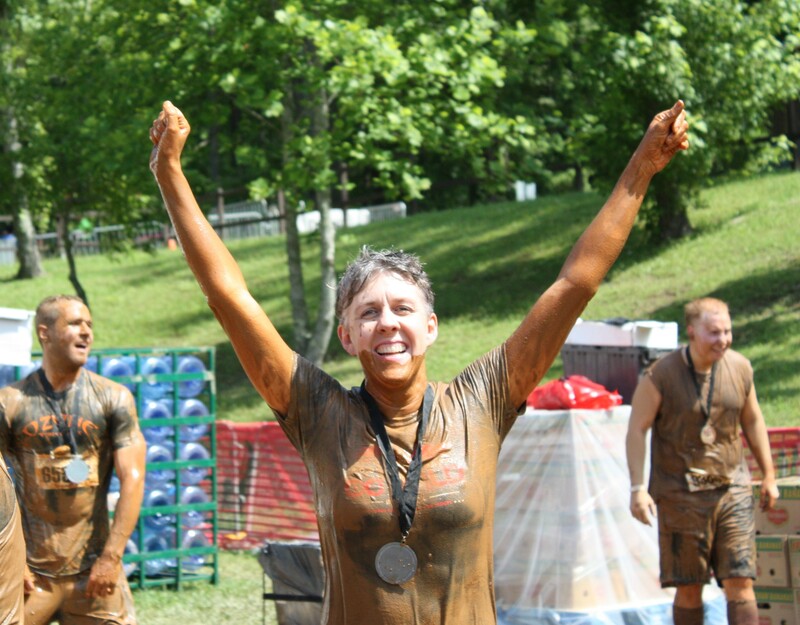 or lack of energy to finish the race at all …. But, what a blessing!!! And doesn’t much of life work this way? When we eat nutritiously to feed our bodies properly, train hard focusing on our weaknesses, work out long to build endurance and rest intentionally so that our bodies can strengthen, we become more healthy and strong. This is a truth in the spiritual realm, as well … but sometimes we don’t recognize God gifting us with the challenges that cause us to grow. We can look for opportunities for growth and we can pray for stronger character, but oftentimes we don’t match the strain of the challenges with the positives that come from them. How many times have you heard the phrase, “Be careful what you ask for. I asked God for patience and He gave me children?” Children certainly develop our patience, don’t they? trust instilling, faith boosting g.i.f.t.s from God. life must be more than easy, simple sailing on a smooth sea. Pingback: I’m a poser – may i ask you a question? #merica🇺🇸 About to enjoy some Southern food in a vintage style restaurant. Yum! !